In the 1950s, it had long been said the old Technical College was not large enough to meet the needs of Hong Kong and the Principal, SJG Burt, managed to secure a donation of HK$1 million (a considerable sum in those days) from the Chinese Manufacturers’ Association on the understanding the Government would match the offer. This it duly did. Many other generous business houses came forward with donations in cash or in kind. The Principal, Sydney Burt, did not receive the pseudonym, the ‘Grandfather of Technical Education’, for nothing., He proved to be an excellent fund raiser. As a result the Technical College moved in November 1957 from Wood Road, Wan Chai, to the then newly reclaimed land at Hung Hom. The College continued to expand and new disciplines included Marine Engineering, Production Engineering and Management. The Textile Department was expanded to embrace Spinning, and Dyeing and Finishing. In 1965 the Industrial Training Advisory Committee (ITAC) was established. Besides a main committee on which educationalists, industrialists and civil servants sat, there were committees for each main industry as well as functional committees catering for apprenticeships, technical institutes, vocational training and so on. ITAC, although advisory, did a great deal to promote the needs of industry and technical education. I sat on the main committee as well as on other committees. Eventually ITAC was succeeded, in 1973, by the Hong Kong Training Council which amounted to an enlarged version of the old ITAC. But again it was advisory. Another group of Technical College building students on a site visit again about half a century ago. I sometimes meet those students, of far off days, for lunch. Many have already retired. They have taken part in the ‘building of Hong Kong’. It has indeed been a great transformation. 1 August 1972. During Keith Legg’s term as Director development was rapid and few institutions anywhere in the world can have expanded at such a pace. Eventually ‘PolyU’ (as it is now known) was accorded university status in 1994. 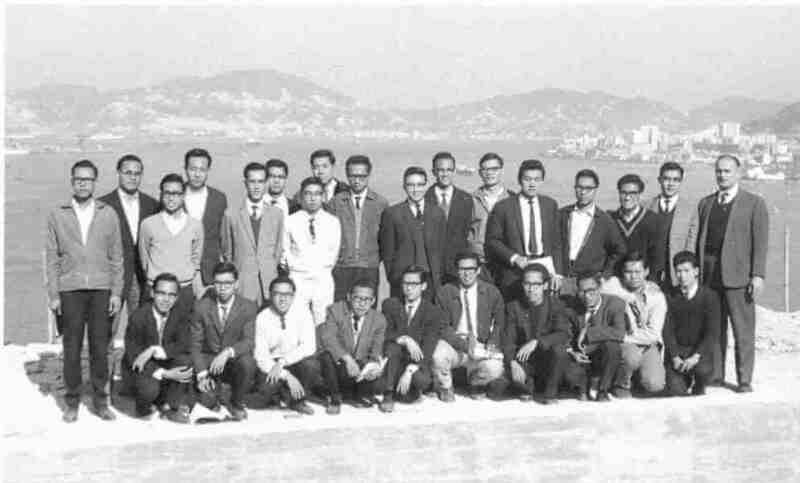 The first Technical Institute was established at Morrison Hill in 1969 although the first year was spent in borrowed premises on the campus of the Technical College at Hung Hom. I had the honour of being the founding principal. During the 1970s the development of the technical institures matched that of the Polytechnic, and, by 1980, there were institutes not only at Morrison Hill but also at Kwai Chung, Kwun Tong, Cheung Sha Wan (Haking Wong Institute) and Kowloon Tong (Lee Wai Lee Institute). Largely in parallel with the setting up of the technical institutes a registered apprenticeship scheme was organized by the Government Department of Labour. The training of these apprentices was supervised and they attended part-time day classes in technical institutes. This was a big improvement on the old idea of Chinese apprenticeships where there was little or no formal learning. In such cases learning tended to be largely ‘sitting by Nellie’, and apprentices were sometimes regarded as the general ‘dogsbody’ of the master craftsman. For the first couple of years or so they did little other than ‘fetch and carry’. Previously, technical institutes were government institution staffed by government servants. This ended with the formation of the Vocational Training Council which was established on 1 April 1982. I had retired from Hong Kong Government service in 1980. But of course the technical institutes have had to change with the times. In the 1960s and 1970s, as previously explained, Hong Kong was very much a manufacturing centre. Today, manufacturing has largely moved to ‘pastures new’ where labour is less expensive and Hong Kong now tends to concentrate on service industries and the financial sector. What were workshops in technical institutes have now frequently been adapted to other uses. To do justice to the development of technical education and training in Hong Kong, in a short article like this, is an almost impossible task. An account of the development of the more recently established Vocational Training Council (VTC) and the Polytechnic University will have to be left for another article. Waters, D. D. The Planning of Craft and Technician Education in Hong Kong 1957 to 1982, A Doctoral Thesis, Loughborough University (UK), 1985. Waters, Dan,‘A Brief History of Technical Education in Hong Kong’, RASHKBJ, vol. 28, 1988, pp.10–15.